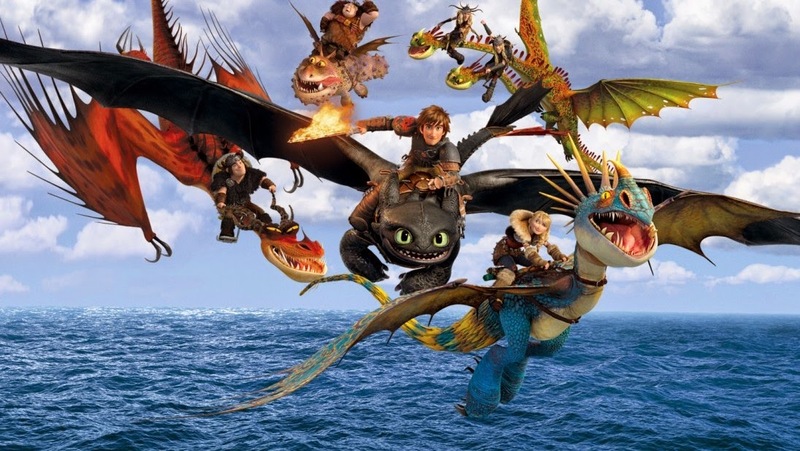 Coinciding with DreamWorks Animation’s 20thanniversary this year, the studio released its much-awaited movie ‘How to Train Your Dragon 2’ at the 2014 Cannes Film Festival. Here are the highlights of the event. A day ahead of the ‘How to Train Your Dragon 2’ screening under the ‘Out of Competition’ category, the movie’s cast created a buzz with a special appearance by Toothless the dragon! DreamWorks CEO Jeffrey Katzenberg is known for his big stunts at Cannes, and this year too he did not disappoint. On his first day, Toothless ambled through the crowd bumping into cameras and photographers, and generally making the crowd go wild. The famous dragon even posed for pictures with co-stars America Ferrera, Jay Baruchel and Djimon Honsou. On the day of the screening of ‘How to Train Your Dragon 2’, the movie’s cast turned up to walk the red carpet dressed in their best, and included voice actors Cate Blanchett, Kit Harrington, America Ferrera, Jay Baruchel and Djimon Honsou as well as director Dean deBlois. Toothless made his second appearance at Cannes that day, wearing a red bow tie for the occasion. The impressive 1.8 meters tall dragon costume has a head so big it requires a cooling fan for the performer inside and cannot be worn for more than 20 minutes at a stretch. ‘How to Train Your Dragon 2’ was screened on May 16 at a black-tie screening in the Grand Lumiere theatre. Breaking convention, the Cannes director Thierry Fremaux personally introduced the film and its creative team before the event. Celebrating its 20th anniversary this year, DreamWorks created a special video that played before the screening of the movie, highlighting the work that DreamWorks has done in the last two decades. ‘How to Train Your Dragon 2’ received a standing ovation from the audience, who stayed standing and applauded each of the cast members individually until they returned to their seats. The movie, set 5 years after the original, follows Hiccup’s growth into adulthood and the challenges that he must face as the chieftain’s only son. The setting of the movie moves beyond the tiny island of Berk to include the whole of the Northern Hemisphere and deals with an entirely new aspect of dragon-Viking relationships. With the villagers of Berk having welcomed the dragons onto their island, the enemy is no longer the fire-breathing creatures but a maniac who is trying to control the beasts to capture the world. The movie is said to be as good as, if not better than ‘How to Train Your Dragon’ and is rumored to be an early favorite for the 2015 Academy Award for Best Animated Feature Film! Critics applaud the smooth storytelling, the tight and gripping plot as well as the bold choices made by the director in terms of how the story unfolds. It is said to have the heart of its predecessor while boasting of even more spectacular animation and action scenes. One of ‘How to Train Your Dragon 2’s biggest advantages is the huge fan-following it garnered from the original movie, and critics are confident that the sequel will not disappoint them. Loved the first movie and can't wait to watch this one!